Location was great. We appreciated the Bistro, even though several times we tried to order something to be told that they had run out of that. 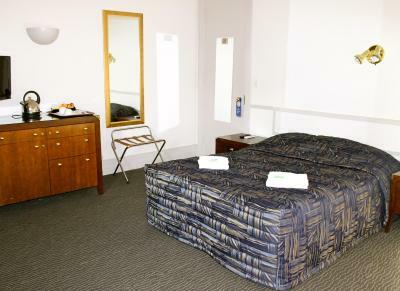 Hotel room with en suite, which is rare, large comfortable bed. The staff are fantastic in both the bar and bistro. Close to central station. 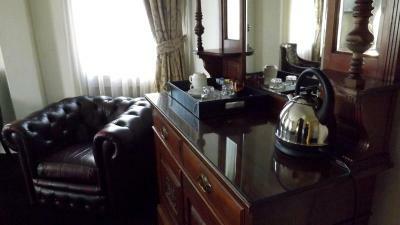 The hotel was located very close to central station and local cafe's which was excellent. The prices at the bar were reasonable. I was expecting there to be more noise coming from the bar and the street below but it was very good. Location was so convenient, just hop out of Central and you're there. Staff were fantastic, friendly and helpful. 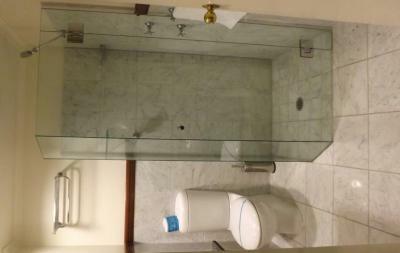 Bathroom was very clean and beds and pillows in good condition. Room was small, but comfortable. I liked the local feel of the place. It wasn't a big fancy hotel with glamour and glitz. It had a wonderful pub, beautiful beer garden and cocktail balcony. The food was great. The room was quaint with a wonderful updated bathroom. I would stay here again. Everything .. Location, staff, facilities... We will definitely be back!! 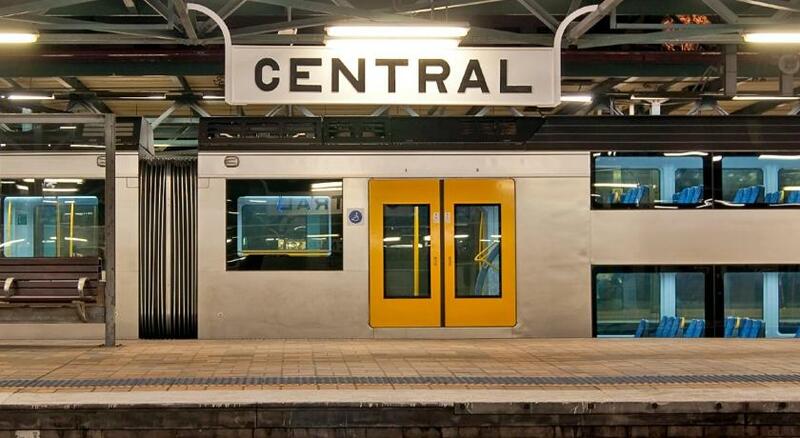 Excellent location, so convenient to Central station. Surprisingly quiet. Great food. 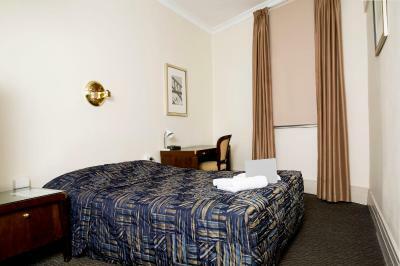 Royal Exhibition Hotel This rating is a reflection of how the property compares to the industry standard when it comes to price, facilities and services available. It's based on a self-evaluation by the property. Use this rating to help choose your stay! One of our best sellers in Sydney! Set in the heart of Sydney, directly opposite Central Railway Station, the Royal Exhibition Hotel features a cocktail bar, a bistro and a 2-level beer garden. 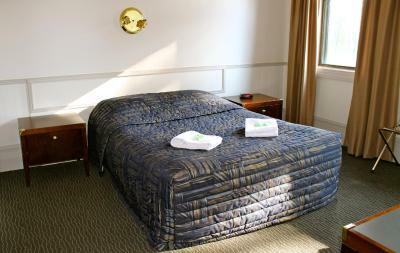 It offers renovated rooms with double-glazed windows and a flat-screen TV. Guests can enjoy the hotel’s bar and gaming facilities which boast several plasma-screen TVs showing a variety of sporting events. The large wrap-around veranda offers lovely park and street views. Each of the air conditioned rooms are serviced daily and offer a refrigerator, safety deposit box and tea/coffee making facilities. 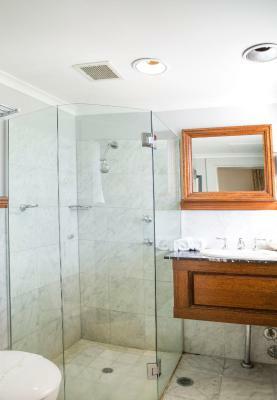 All rooms include a private private bathroom with a hairdryer. 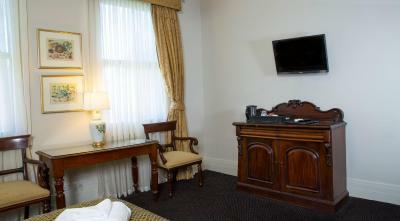 Located next to Prince Alfred Park, the hotel is within 15 minutes’ walk of Darling Harbor and the Capitol Theater. 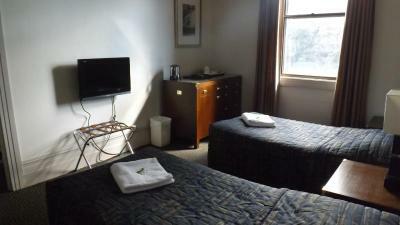 ICC Sydney (International Convention Center Sydney) is 28 minutes' walk away. There are several bars and dining options within 5 minutes’ walk. 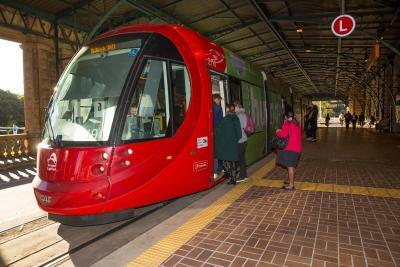 Royal Exhibition Hotel is an 8-minute train ride from Sydney Harbor Bridge, Sydney Opera House and The Rocks. 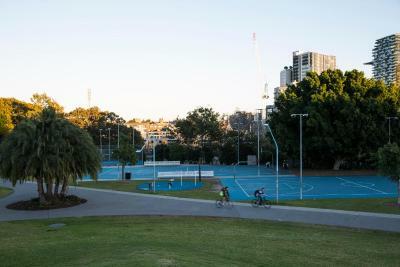 It is a 10-minute bus ride from Sydney Cricket Ground and Sydney Football Stadium. 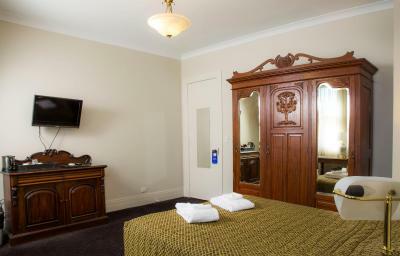 When would you like to stay at Royal Exhibition Hotel? This air-conditioned room features double-glazed windows and includes a flat-screen TV, a safe and tea/coffee-making facilities. 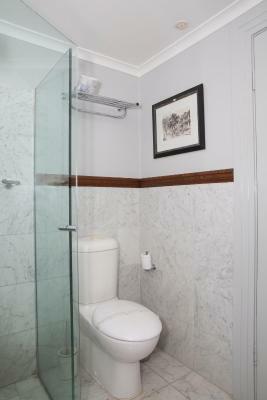 It includes a private bathroom with a hairdryer and guest toiletries. 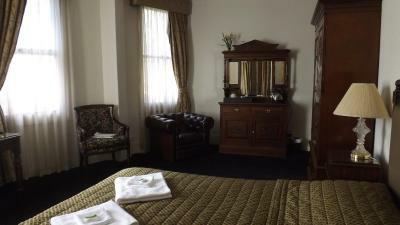 This air-conditioned room features double-glazed windows and antique furniture. 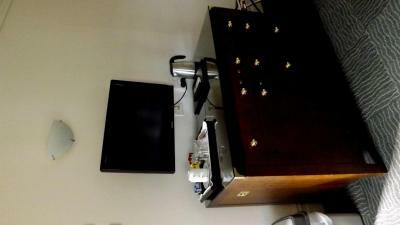 It has a luxurious marble bathroom, a flat-screen TV, a safe and tea/coffee-making facilities. 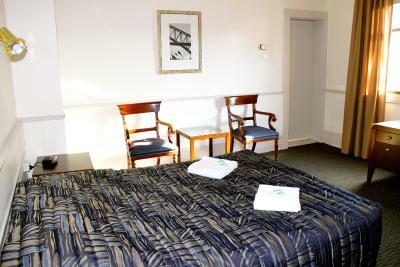 All rooms are individually furnished and the photos are presented as a guide only. House Rules Royal Exhibition Hotel takes special requests – add in the next step! Royal Exhibition Hotel accepts these cards and reserves the right to temporarily hold an amount prior to arrival. Please note that the hotel may contact your credit card company to confirm that the card you are using is valid and hasn’t been reported lost or stolen. They may also pre-authorize the card for the full amount of the reservation. All good. Nothing negative to comment on. Would stay there again. We left early to catch a train. 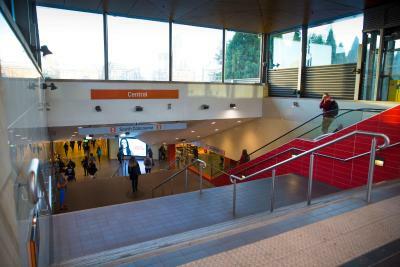 The location was very convenient - just a short walk to Central Station. 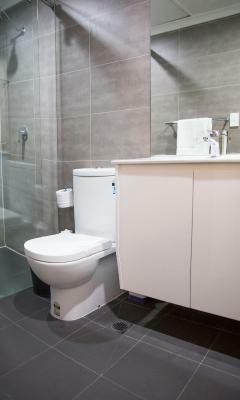 We both had a great sleep and enjoyed the modern bathroom facilities. Lighting in room was really poor, not helped by one of the three light bulbs in the room being dead. Wrote a note (no staff present in mornings) asking for it to be replaced, but this wasn't actioned. Easy to find right outside Chalmers exit on South side of Central station. 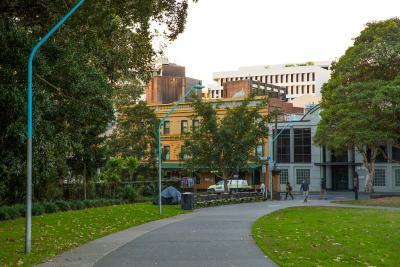 Walking distance to Darling Harbour and city centre, loads of nightlife easy walk away, a bargain! The location and convenience. Bar food was excellent and well priced. The staff were all very courteous and professional. 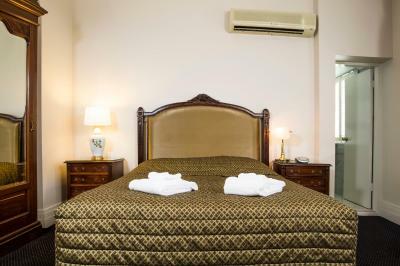 For anyone staying more than a day or two, available laundry facilities would be good as there are no personal use laundromats nearby only dry cleaners and professional laundries that we could find and staff did not know of any either. Location near Central Station was excellent. Clean and comfortable. We were stayng two nights prior to overseas travel and booked a double standard room. The room was too small for a two night stay, with the large suitcases, and we were fortunate to receive an upgrade, as there was a larger room available. However, in the same situation, I would pay extra and book the much larger room straight up as it was very spacious, nicely furnished, had a renovated bathroom with four windows and a city view. The location was perfect for catching the airport train- just across the road to Central Station- and we could enjoy the bar which also served food. The meal of the day represents exceptional value and it is also only a fairly short walk to other food options. The building is a beautiful historic building with a lot of atmosphere, and I would definitely stay there again. The bed was the most comfortable bed that we slept in for 17 days! I could have used a hair dryer, but everything else was great. We were surprised to arrive via a bar but the staff member who checked us in was excellent and we were very happy with everything about our room. The only downside was the bar across the road that seemed to have people talking on the street all night, still there at 6am but there was no noise from the bar below our room. At the moment there are roadworks outside, this didn’t bother us but it might some people! 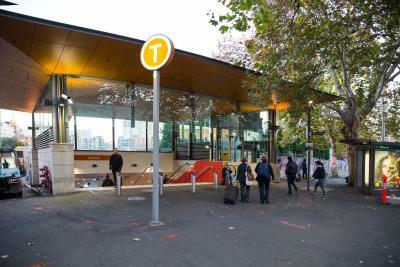 Great location right beside Central station. Very easy and relaxed!